How cute is this little Frankie? Are you ready for some Frankenstein math? I love teaching during the fall! 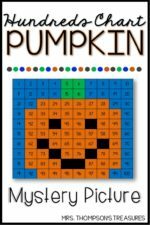 There are so many fun themes to incorporate, especially in October: bats, spiders, pumpkins, and all things Halloween! 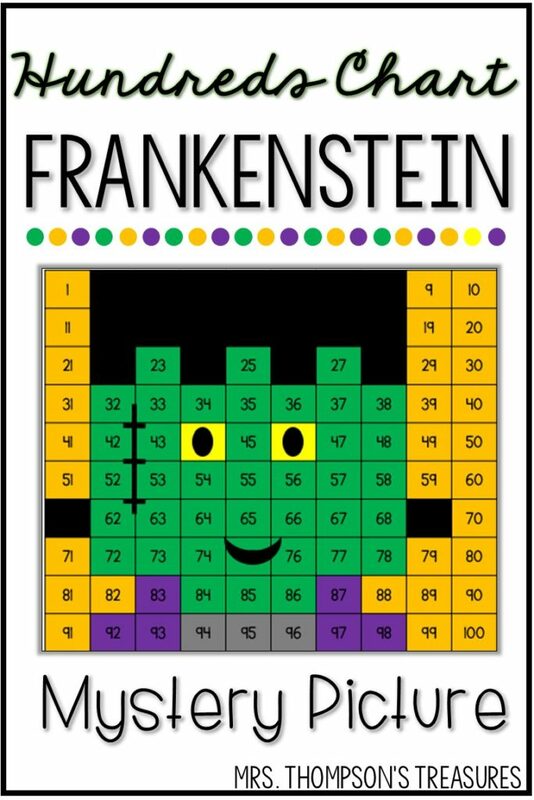 One of my favorite ways to integrate some fun with math skills is by doing mystery pictures like this hundreds chart Frankenstein cutie! The Frankenstein picture is made on a hundreds chart. The guide tells students the numbers and colors to fill in to create the mystery picture. 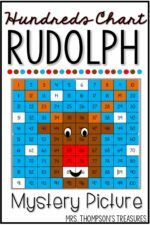 Students will be practicing number sense and place value as they find the correct numbers on the chart. Four different version are included so you can differentiate as needed among your students. CLICK to visit my blog and see the free download. « Halloween No Prep Freebie!